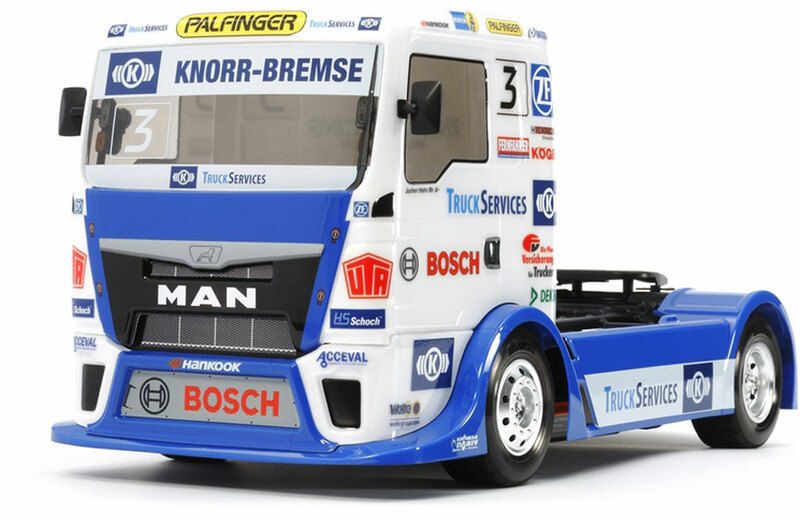 All Products > "58632 Tamiya Team Hahn MAN TGS Race Truck"
This is an exciting R/C model assembly kit recreating the Team Hahn Racing MAN TGS truck which stars on the truck racing circuit in Europe. 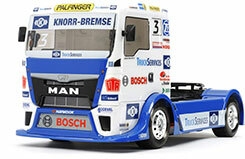 The realistic body is a 4-piece set made from lightweight and durable polycarbonate, with separately molded plastic side mirrors, coupler and rear bumper parts. 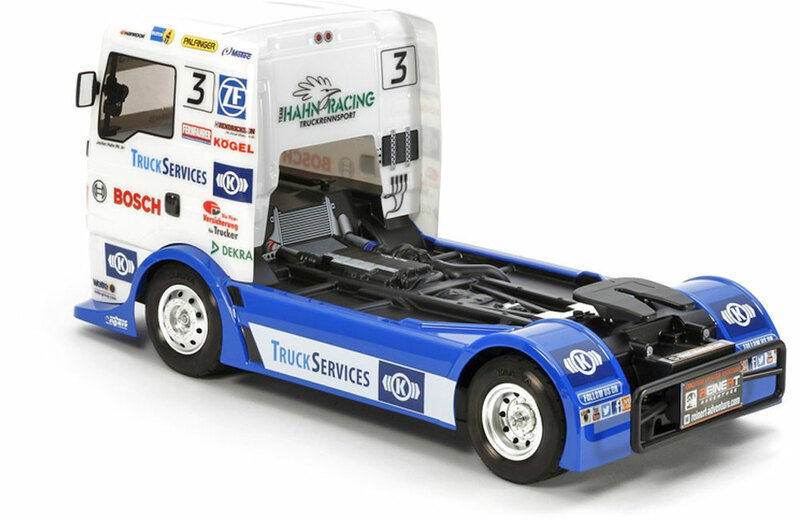 The TT-01 Type-E chassis is a proven performer, and here is fitted with dedicated new wheels and tires for the model. 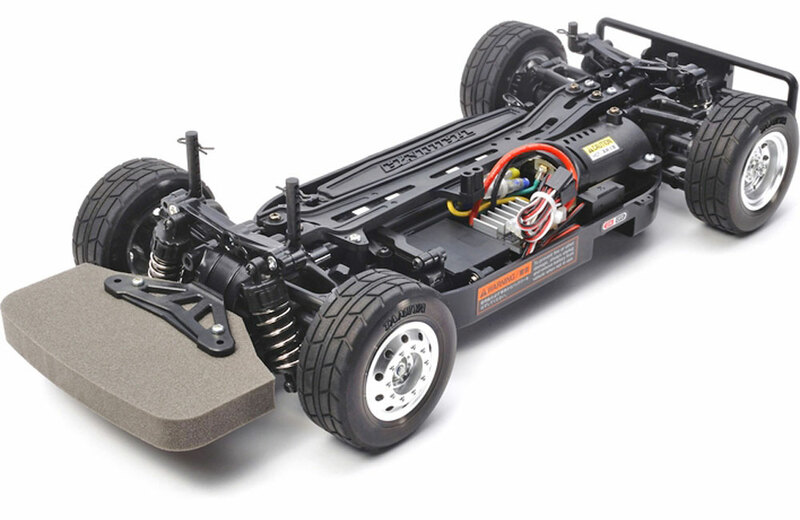 The bathtub frame of the evolved shaft-driven 4WD TT-01 Type-E has its motor and battery close to the ground for lower center of gravity and optimum balance. 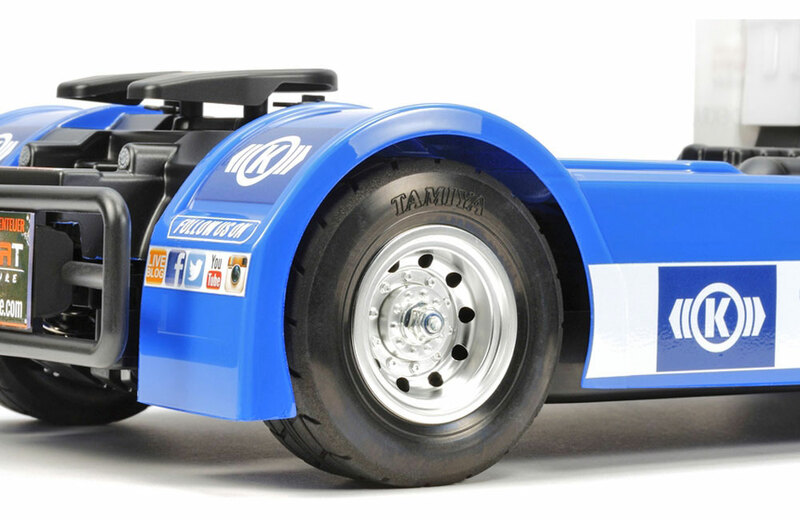 Mounted on the bathtub frame is a fiberglass reinforced nylon upper deck and gear covers improving rigidity, as well as a 3-piece tie rod providing a smoother steering action. The low center of gravity, great balanced design, 4 wheel double wishbone suspension system, and front and rear differential gears all come together to produce excellent operating ability. 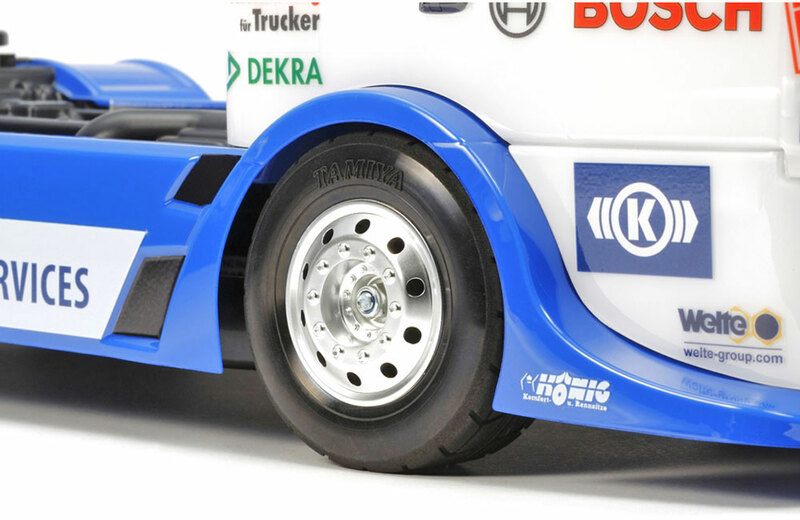 70mm-diameter radial tires are paired with metal plated wheels developed just for this model; the high sidewalls make for forgiving turns.